Apple has published a press release today claiming that the company is now 100% powered by renewable energy. The tech giant has heavily invested in a number of sustainable energy projects such as wind farms and solar power production. Apple’s CEO, Tim Cook, has called the news a “significant milestone” and insists that the company will continue to be committed to a cleaner environment. A press release from Apple has stated that the company is now “globally powered by 100% renewable energy.” Considering the size of the firm (around 499 stores worldwide and 123,000 employees in 43 countries) this accomplishment is no mean feat. Google also has a similar claim, although that company purchases renewable energy to match the electricity consumed. Apple’s report states that all of the company's offices, data centers, and stores worldwide are now completely powered by sustainable energy. Altogether, clean energy from supplier projects helped avoid over 1.5 million metric tons of greenhouse gases from being emitted in 2017 - the equivalent of taking more than 300,000 cars off the road. Even though there are an estimated 268 million passenger vehicles in the US alone, Apple's achievement and continued commitment to a cleaner environment is still likely to be a step in the right direction. · Apple Park, Apple’s new headquarters in Cupertino, is now the largest LEED Platinum-certified office building in North America. It is powered by 100 percent renewable energy from multiple sources, including a 17-megawatt onsite rooftop solar installation and four megawatts of biogas fuel cells, and controlled by a microgrid with battery storage. It also gives clean energy back to the public grid during periods of low occupancy. · Over 485 megawatts of wind and solar projects have been developed across six provinces of China to address upstream manufacturing emissions. · Apple recently announced plans to build a 400,000-square-foot, state-of-the-art data center in Waukee, Iowa, that will run entirely on renewable energy from day one. · In Prineville, Oregon, the company signed a 200-megawatt power purchase agreement for an Oregon wind farm, the Montague Wind Power Project, set to come online by the end of 2019. · In Reno, Nevada, Apple created a partnership with the local utility, NV Energy, and over the last four years developed four new projects totaling 320 megawatts of solar PV generation. · In Japan, Apple is partnering with local solar company Daini Denryoku to install over 300 rooftop solar systems that will generate 18,000 megawatt-hours of clean energy every year — enough to power more than 3,000 Japanese homes. · Apple’s data center in Maiden, North Carolina, is supported by projects that generate 244 million kilowatt-hours of renewable energy per year, which is equivalent to the energy used by 17,906 North Carolina homes. 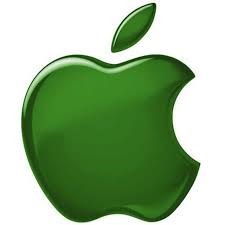 · In Singapore, where land is scarce, Apple adapted and built its renewable energy on 800 rooftops. · Apple is currently constructing two new data centers in Denmark that will run on 100 percent renewable energy from day one. · Arkema, a designer of high-performance bio-based polymers, which manufactures for Apple at its facilities in France, the United States and China. · DSM Engineering Plastics, which manufactures polymers and compounds in the Netherlands, Taiwan and China that are used in many Apple products, including connectors and cables. · ECCO Leather, the first soft goods supplier to commit to 100 percent clean energy for its Apple production. The leather that ECCO produces for Apple is of European origin, with tanning and cutting occurring at facilities in the Netherlands and China. · Finisar, a US industry-leading producer of optical communication components and vertical-cavity surface-emitting lasers (VCSELs), which power some of Apple’s most popular new features like Face ID, Portrait mode selfies and Animoji. · Luxshare-ICT, a supplier of accessories for Apple products. Luxshare-ICT’s production for Apple is predominantly located in Eastern China. · Pegatron, which assembles a number of products, including iPhone, at its two factories in Shanghai and Kunshan, China. · Quadrant, a supplier of magnets and magnetic components in a number of Apple’s products. · Quanta Computer, one of the first Mac suppliers to commit to 100 percent renewable energy for Apple production. · Taiyo Ink Mfg. Co., which produces solder masks for printed circuit boards in Japan.